North Merrick, New York, USA. March 31, 2018. 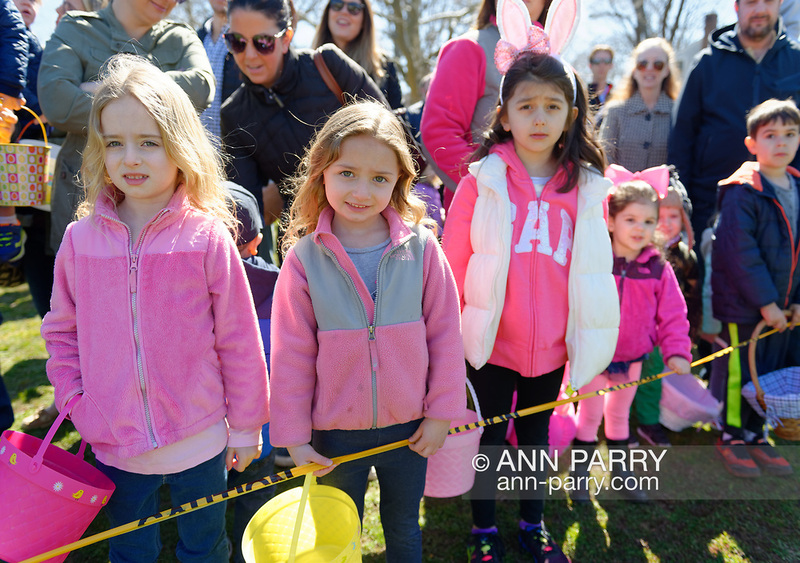 Young children, many of the girls dressed in pink, wait behind yellow tape for start of Easter Egg Hunt at the Annual Eggstravaganza, held at Fraser Park and hosted by North and Central Merrick Civic Association (NCMCA) and Merrick's American Legion Auxiliary Unit 1282.